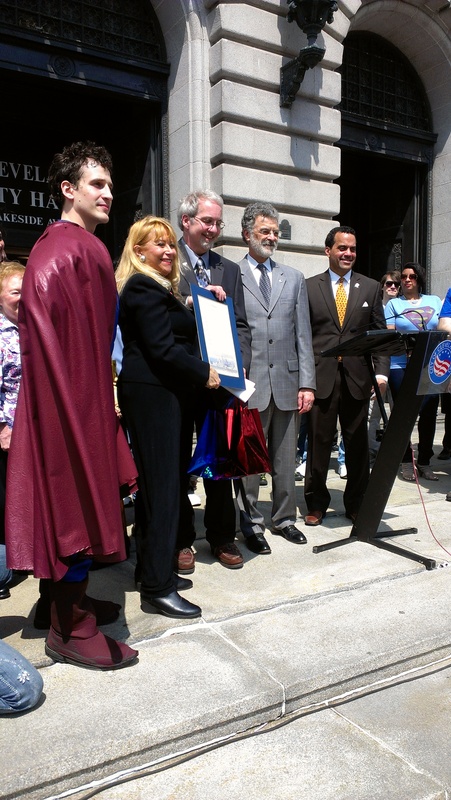 Mayor Jackson declared today, April 18th “Superman Day” in Cleveland, marking the superhero’s 75th anniversary after being created by Glenville teenagers Jerry Siegel and Joe Shuster. 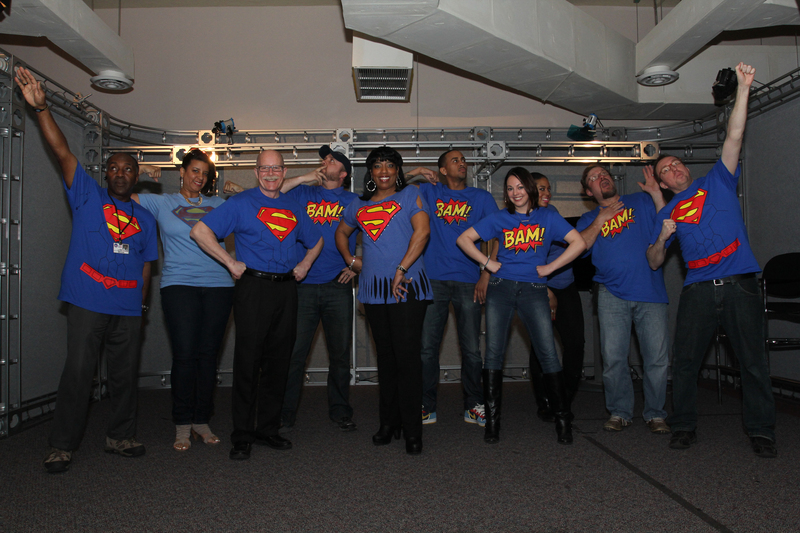 A Superman flag is being flown at City Hall and birthday cupcakes are being handed out at Cleveland Hopkins International Airport where there is a Superman display. 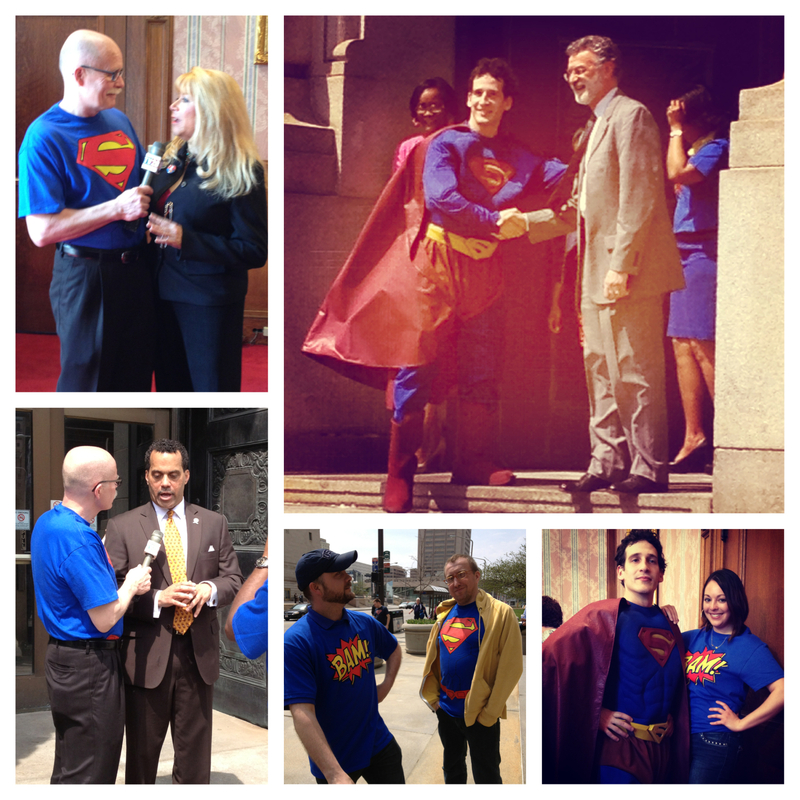 Mayor Jackson held a public salute to Superman on the steps of Cleveland City Hall. 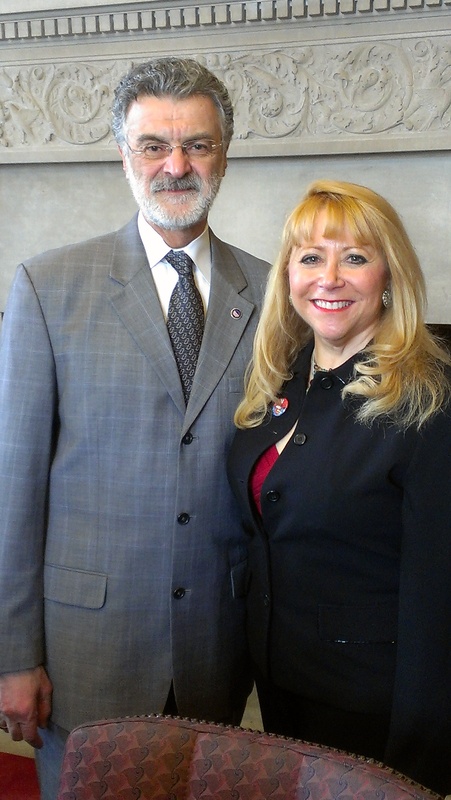 Cleveland Mayor Frank Jackson greets Jerry Siegel’s daughter, Laura Siegel Larson, of California at Cleveland City Hall. We of course dressed in the spirit! You can catch Jack Marschall’s interviews with Mayor Frank Jackson, Councilman Jeff Johnson, as well as members of Seigel and Shuster Society and their family all next week during our Weekly News Wrap-Up! Reblogged this on Life With Leah*.